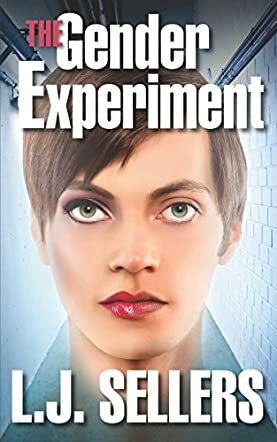 The Gender Experiment by L.J. Sellers is a thriller that left on me the kind of powerful impression I had when I first read Lee Child’s Jack Reacher. Taylor Lopez is doing her internship in the morgue and she couldn’t complain about the work until something unusual catches her attention. She discovers people with similar traits are dying and her curiosity is piqued. Could it be a coincidence? Taylor is the kind of character with a driving curiosity and a stubbornness that can border on recklessness, but she is also the kind of character that readers will root for. She begins to check out profiles of the dead persons sharing the same medical traits and what she discovers is shocking: all these people were born in the same hospital and around the same time, but her startling discovery is just a clue pointing to an evil that can have nefarious consequences for humanity. Taylor has come too far to withdraw, and now, with a bounty on her life and the help of FBI agent Andra Bailey, she has to get to the truth before the enemy gets to her. You’ll curse; you’ll open your mouth in utter wonder, and will grip the edge of your chair as you read this riveting tale of a young woman’s fight to expose one of the military’s deadly schemes. The Gender Experiment is a rare find, a treasure that will delight thriller lovers. It’s fast-paced, with a cast of well-developed characters and a setting that is hard to forget. L.J. Sellers is a master entertainer and knows just how to get readers turning the pages. The masterful use of suspense will make your heart ache as you turn the pages, but you’ll have to turn them until you are done. It’s undoubtedly one of the best thrillers of the year.